Chat about all things to do with Doctor Who and its spin offs. Welcome to the Amazing World of Doctor Who!Chat about everything WHO, from the series, to books, toys etc. A very warm and friendly forum. Please read the rules. Admin, The Eternal Dalek, Dalek & Last of the Sonics are here to help. All members are required to acknowledge and follow the rules, no exceptions. Your rank will change after so many posts. The Amazing World of Doctor Who. Chat about the series from the classic era to the present day , Torchwood, Sarah Jane Adventures, K9 & Company and Class. Also got a question about the shows? Post it here. Chat about the forthcoming series of Doctor Who staring Jodie Whittaker & other goings on in the Whoniverse. From 2005 Character Options and Underground Toys have produced 5" action figures from the Classic series and the new series, then in 2013 Character Options a range of Doctor Who figures in 3.75" scale accompanied by various playsets. Now they collectable 5.5" figures. The official Doctor Who figurine collection by Eaglemoss. From 2013 Eaglemoss have produced metal figurine figures. Each figure comes with a detailed magazine. 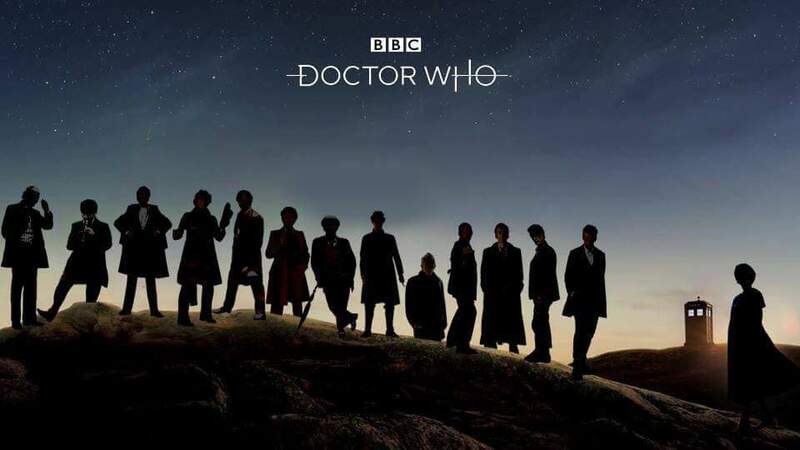 BBC and 2lenterain have released all the Doctor Who stories currently held in the archives & animating part of the missing episodes from certain stories like The Tenth Planet part 4. In 2017 Power of the Daleks which is still missing from the archives has been completely animated & released on DVD & Blu ray which features a colour version. Titan Minatures & Titan Maxi Bust collection. 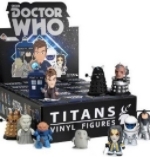 Titan have produced a wide range of detailed miniature figures featuring various monsters and the eleven Doctors. Doctor Who Funko POP Vinyl Series figures first released in 2015. Big Chief produce 1:6 scale figures of the Doctors & companions. Robert Harrop makes collectable and giftware figurines . All other things, such as trading cards, mugs, clothing etc. Doctor Who books, comics & magazines. Doctor Who Novels, Annuals books, comics & magazines.